The Nokia Lumia 920 is currently hogging all of the Windows 8 spotlight. But let’s not forget that there will be other devices running under Microsoft’s revamped OS which is set to be released next month such as the upcoming Windows 8 tablets. One of those devices that bears watching is the Lenovo Thinkpad 2. 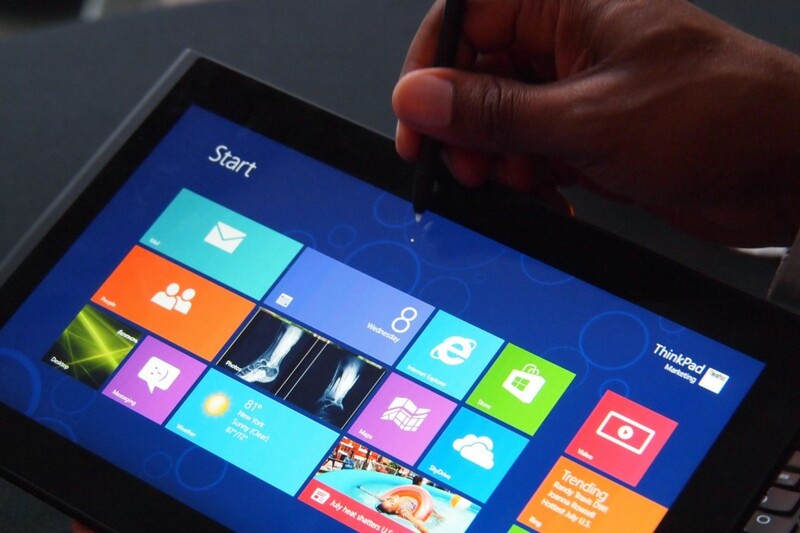 The Lenovo ThinkPad 2 is a gorgeous 10-inch Windows 8 tablet that seems aimed at the business and executive market. It comes with Windows 8 Pro and the full Office 2013 suite. The device will have a 10 hour battery life, a 2 MP fornt clicker and an 8 MP one in the back, LTE and NFC functionality, USB ports and will come with a stylus. The processor is not yet confirmed but according to rumors, it will be a 1.8 GHz Intel Clover Trail. WPCentralrecently attended the PepCom at New York and had an opportunity to discuss the Windows 8 tablet with Lenovo, According to them, they’re looking at a $799 price tag and an October 26th launch date. While $799 does seem a little hefty, that price actually already includes a full keyboard. Although WPcentral admits that they’re a little iffy about the additional dock, which includes an Ethernet port, 3 additional USB ports and an HDMI outlet. Perhaps the device can be purchased for much less without all these add-ons. We’ll find out in a few weeks. We’ve talked about the possibility Windows 8 being a game changer for tablets and the Lenovo ThinkPad 2 seems like a perfect example of what we can expect. The device would be an easy draw for people looking for a sleek full-sized 10-inch tablet that could also deliver a more laptop-like experience when required. What are your thoughts in the Lenovo ThinkPad 2? Could this and other upcoming Windows 8 tablets challenge the dominance of the iPad?